Both the ferry (or barge) ticket and National Parks permits are payable at various locations in Rainbow Beach. 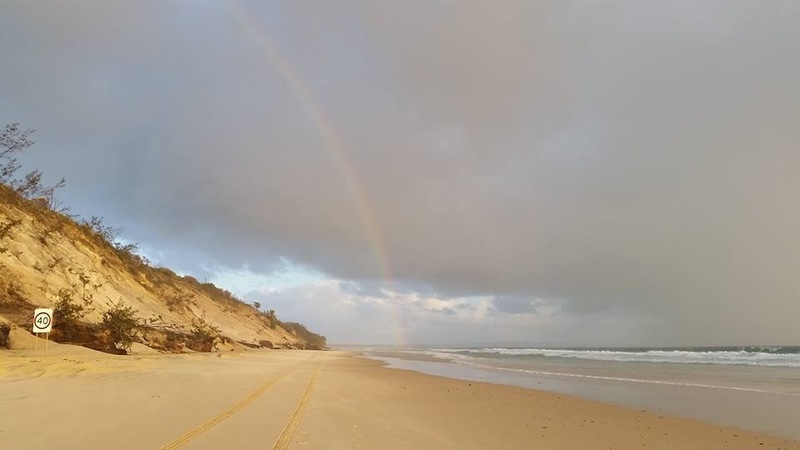 Return fare from Rainbow Beach is currently $120. Vehicle access permit is currently $49.90 per vehicle. Public camping permit is currently $6.35 per night per person. Barge services to the island operate daily and on demand, generally between 6:00a.m.-5:00p.m depending on low tide accessibility. Travel time from Inskip Point to Fraser Island is less than 10 minutes and enables direct access to the easterly positioned 75 mile beach. 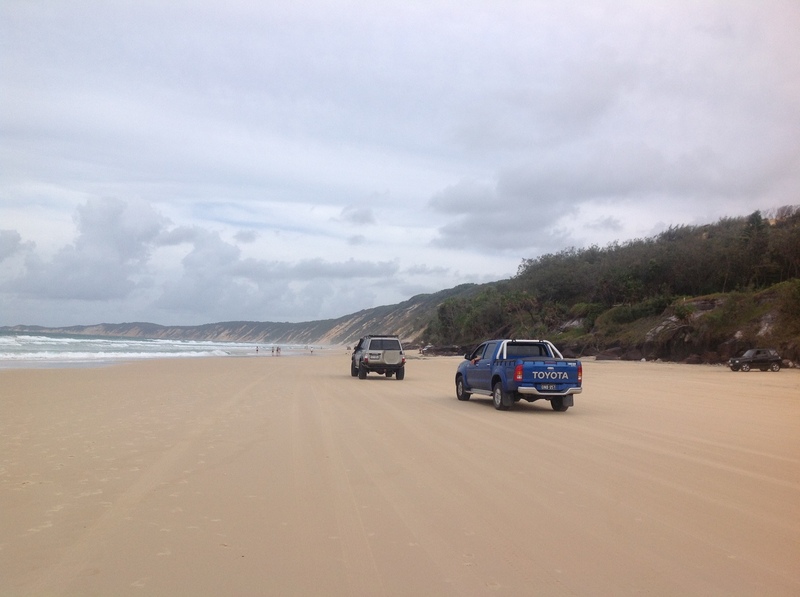 The eastern beach of Fraser Island is the only trafficable section – being a gazetted ‘road’ means normal road rules apply including an 80km maximum speed limit. Tyres are pre-deflated at 22 psi – vital for driving on sand. The general rule of beach access is 2-3 hours either side of the LOW tide provides beach trafficability (so about 5-6 hours every day). Remember the tides change daily (move forward approximately 1 hour every day) so tidal charts are a must. Yes, even vehicles known as all wheel drives will not suffice. A vehicle that can engage between high range 4WD to low range 4WD is required. These vehicles will also have another vital component to driving in soft sand – clearance. Off road tyres, heavy duty lift kit suspension and spring packs create plenty of clearance to ensure trouble free momentum driving through softer/dryer sand and pre-existing ruts created by other traffic on the island. 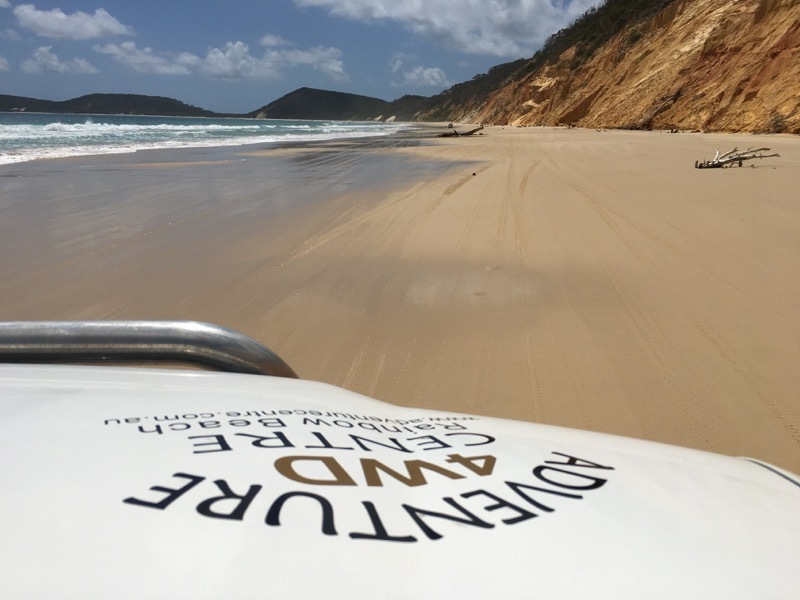 Gazetted road rules apply both locally on Rainbow Beach and Fraser Island. Off road tip: deflate tyres to approximately 22 psi. Dingoes, goannas, freshwater turtles, eagles and golden orb spiders. Observe speed limit changes as they are indicated.